Alimony or is often a central point of contention in New Jersey divorce proceedings, especially in situations where there exists significant income disparities between the spouses. Many litigants initially confuse “equitable distribution” and “alimony.” The difference is simple. Equitable distribution “looks back” and allots the parties’ “marital” property. Alimony, however, looks forward. It attempts to make up for the differences in the parties’ economic condition and tried to put them in a position as close as reasonably possible to the marital lifestyle. In New Jersey, there are five different types of alimony employed by the courts. Each type of alimony has a distinct purpose. Permanent Alimony: This type of alimony is generally reserved for marriages of longer duration. When permanent alimony is awarded, it may not terminate until the dependent spouse remarries or either party dies. However, permanent alimony can be reduced or terminated upon a change of circumstance such as, cohabitation, retirement or an involuntary reduction in income. Rehabilitative Alimony: Rehabilitative alimony is governed by N.J.S.A. 2A:34- 23(d) and can be awarded in addition to permanent alimony. It is typically awarded “where a short-term or lump-sum award from one party in a divorce will enable [the] former spouse to complete the preparation necessary for economic self-sufficiency. Economic “rehabilitation” of the dependent spouse (to the extent possible) is the literal goal of this type of alimony award. Courts like dependent spouses to be as independent as they can given their particular circumstances including age, education and occupational ability. Hence, for this type of alimony to be awarded, a rehabilitative “plan” is required on the record; the statute specifically says “Rehabilitative alimony shall be awarded based upon a plan in which the payee shows the scope of rehabilitation, the steps to be taken, and the time frame, including a period of employment during which rehabilitation will occur.” Therefore, rehabilitative alimony amounts vary and are always for a fixed amount of time contingent on the details of each rehabilitation plan. Reimbursement Alimony: This type of alimony has a very specific purpose; it is usually awarded by the Court to compensate a dependent spouse for economic sacrifices made during the course of the marriage. The sacrifices triggering reimbursement alimony are those that aided the payor spouse in the process of their professional development and increasing their income earning capacity. It’s obvious enough that this type of alimony if most regularly awarded when one spouse helped the other spouse through their higher or graduate education. Limited Duration Alimony: This type of alimony is exactly what it sounds like: spousal support granted for a fixed amount of time as opposed to a permanent support award. Again, the determination if highly-circumstantial, but a dependent spouse married for an intermediate length of time may qualify for some kind of limited duration alimony even though he or she fell short of the higher threshold necessary for permanent alimony. Pendente Lite Alimony: “Pendente lite” is a Latin phrase which literally means ”while the litigation is pending.” Hence, this form of alimony is temporary and awarded on motion (or agreed upon between the parties) pending an ultimate resolution of the divorce litigation. 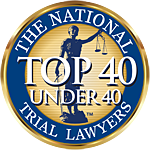 These awards Will not typically prejudice the ultimate result but, practically speaking, often have the effect of establishing a base-line alimony amount for settlement discussions. Need a divorce lawyer? Give us a call.